Sometimes the posture that we think is impossible, it may not be. All we need is determination n will power n inner strength. Posture only posture and there is no different between this posture n that posture. When u understand this, no matter what posture u r doing or able to do, there is no difference, there is equality, there is no judgement, no comparison n no expectation. Just b at the present moment, just b it. This is YOGA. 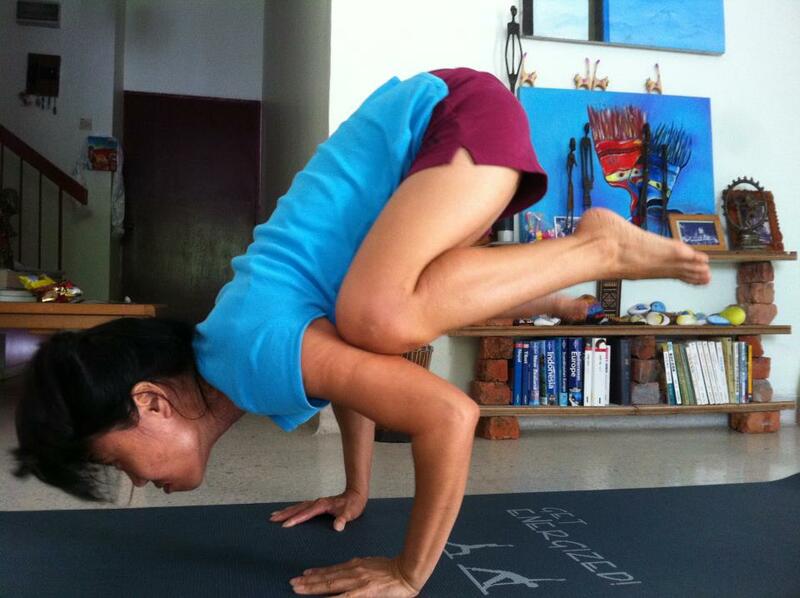 YOGA is not the posture, but is the state of mind! Body is like a vehicle that will bring us the understanding of the state of mind that in peace n ease. A long the way we practice, we learn to let go the pain of the body, we learn to let go whatever senses come along with the postures, whether like or dislike towards to postures. We learn to let go the ego n craving within us that which is the cause of suffering towards what our body can n cannot do, especially what we CANNOT do. Change a different perceptive n attitude towards the asana that we hv been practicing for ages n u will find that posture is just posture n the posture which u hardly can do, suddenly it becomes so easy. As time comes, body is ready for, mind is ready for it, will power n inner strength r there, it become much more easier. Or even u hv been doing the same postures so 10, 20 years, u will not craving for more variation or more challenging posture as u r experiencing the state of mind that in peace n ease, not challenging the physical body. We read, we will forget! We will only blindly follow. We need to experience it. Through yoga, we experience, then we will be very mindful. When things happened in our life, the knowledge or dhamma that u hv been mindful about, u hv been trained is kept in the subconscious mind. When the mind n soul in pain, the knowledge or dhamma will eventually cure the suffering. It may not fully cure, but it will eventually cure or at least, it will lessen the suffering or shorten it as we have the knowledge or dhamma in us. See life as it is and be it.